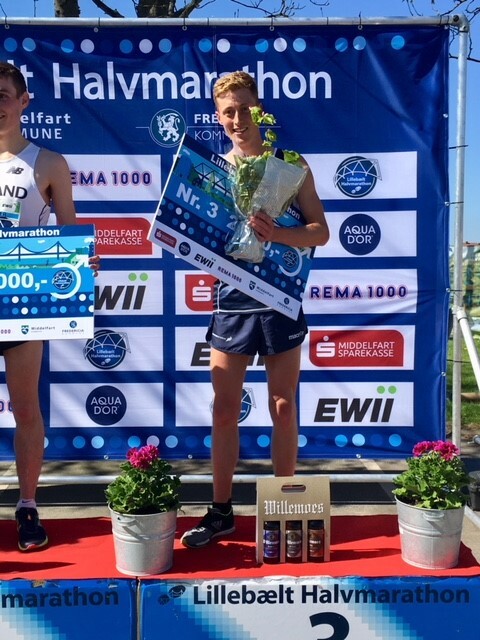 Scotland’s two representatives at the Lillebaelt Half Marathon in Denmark both came up with fine performances in very warm conditions. 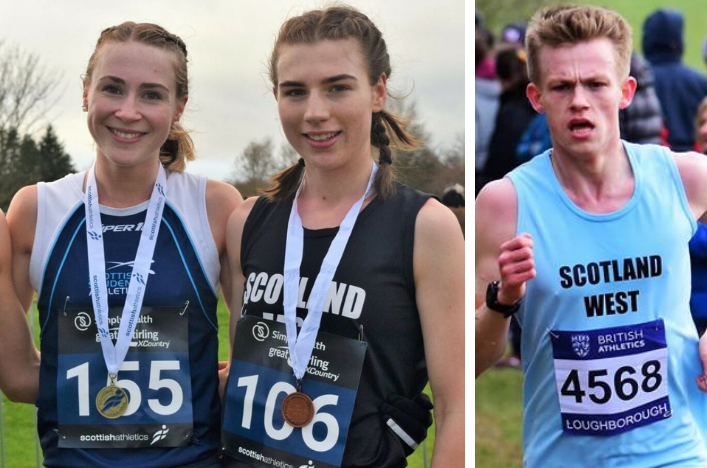 Fiona Brian won the women’s race to take the top prize while Kenny Wilson of Moray Road Runners also made the men’s podium as he finished in third place. The two performances maintain Scotland’s strong recent record at this event, since scottishathletics and the Road Running and Cross Country Commission restored the trip to Denmark as an international opportunity. 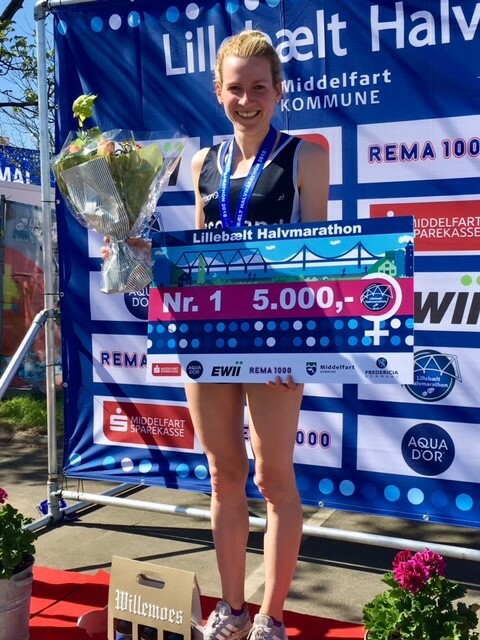 Fiona clocked 76.47 to take the win while Kenny’s time was 69.11 but it was clear even beforehand that the hot weather would mitigate against good times and indeed this has been a feature for the Lillebaelt Half Marathon – where the course has also changed each year for the past four years. ‘I am absolutely delighted to take the win!,’ said Fiona, who is coached by Mike Johnston and had two 75-minute half marathons to her name for 2018 prior to Denmark. ‘It felt tough in the heat but the pace was pretty conservative for the first few miles and after about mile five I managed to get in a group with Dani (Nimmock, of England) and two guys which helped and I just tried to tuck in with them. ‘We were together until about 18k I think; then going up the hill I just felt pretty good and went for it. Then it was just a case of trying to hang on for the last few kilometres which was tough! 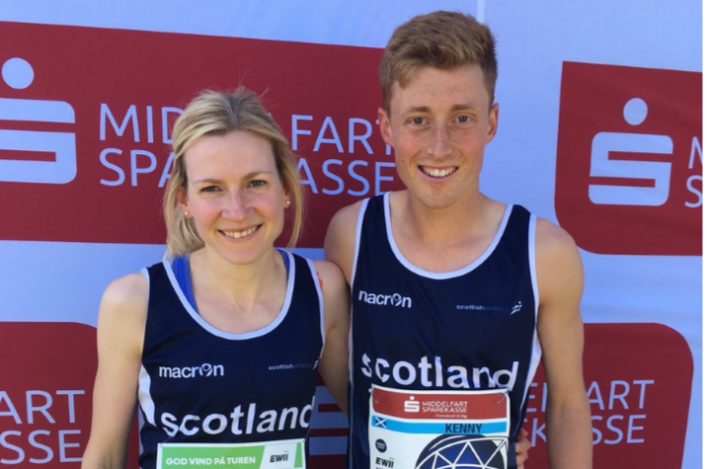 Kenny, who ran a course record 5K at Run Balmoral recently, savoured the experience of racing in a Scotland vest despite a tough closing spell. ‘It was a tough race today,’ said the Moray Road Runner, who is coached by Carol Sim. ‘I went with the lead pace for first 12km and gave it a go to try and win. I think the heat and small inclines hit me mile nine and just had to try and get back to the finish with my legs cramping up.